How Does A Torque Wrench Work? It’s a very common question now.In this article, we are going to share about this topic.Torque, my friends, is a force we use daily as part of our day-to-day operations. People do it all the time whether knowingly or unknowingly. Have you ever wondered what is at work here? What “Is” this torque and how does it impact our lives? Well, for all you laymen, let me put my “Nerd” hat on. “Torque” is a force. No surprises there, right? Torque is a force that we apply to overcome the resistance of a rotation. To make it simpler, it is a force that we exert on screws, nuts, and bolts to either tighten or loosen them up. We use this device to exert an amount of force that our ordinary pair of hands can’t. This little tool comes in all shapes, sizes, and types. The way it accomplishes such feat of exerting a variable range of force is intriguing. This is what we’ll be discussing in this tiny piece of ours. 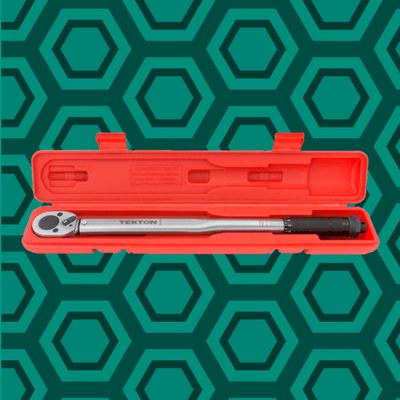 We’ll be shedding light on How Does A Torque Wrench Work? It is no mystery. It’s Physics. That too, simplified! So, hop on for the ride. What are the Types of Torque Wrenches Out There? We are, people. It’s just that you have to know your tool. You have to know the torque wrench you are working with. Let’s get that out of the way first. I’ll be brief. Don’t worry! The “Click” Type Torque wrench comes first to mind which usually has the torque scales in ft/lbs. and N/m engraved on its body. You set a torque and it gives you a “Click” sound when it reaches the level. Then there’s the beam type torque wrench that has a needle right in the middle. You’ll find the scale at the head of this thing. After setting the torque wrench for the value, monitor the needle for the measurement. Physics guys say that it minimizes parallax errors. The third variety is the Electric Torque Wrench. Well, you just push some buttons, set the value, and turn it. When it reaches the value, it’ll alarm you. Oh, you won’t be able to turn the wrench further. Alright! We are done with the types. I know it was a brief touch down. However, I’ve gone to greater lengths in explaining the different types in my article on top Torque Wrench Models for 2018. Go ahead, read that and come back to the main topic of this piece. Let me lay out the basic rule of thumb for you with regard to the torque wrench. It this device, what you give is what you get. Meaning, you spin it clockwise and it will generate torque on the desired part. Now that we know the principle, let’s break it down. How “Size” Impacts the Torque Level and Range? Remember I mentioned the “Size of Torque Wrench?” Size DOES matter. As it turns out, the amount of torque a wrench can dish out is directly related to the size of its handle. The bigger the handle, the more torque a wrench can dish out. Also, depending on the type of torque wrench (Click or Beam), the way you determine torque level on a nut or a bolt is different too. Some use a “Beam” (cue in the name) and others use a spring system that’s calibrated for negating mistakes for the job. Also depending on the type of the tool you are using, it can either show you the torque level on a dial (beam torque wrench) or a scale etched on its body (the “Click” type). Advanced torque wrenches use digital systems to display the levels (electric torque devices). The measurements are generally made in ft./lbs. or (and) N/m. The “Click Type Torque Wrenches” come with handles. The general idea is to turn the handle in a direction (normally clockwise) to set the torque. The hollow construction of the tools allows handles to house intricate parts that turn and set the torque levels. The Beam Type Wrenches have a rod instead of the handle. These rods have a dial at the center and a small rod. One can turn the rod to either side of the wrench to set the torque. Then, the needle gradually moves towards the rod to signify torque levels. In case of Automatic Torque Wrenches AKA the Electric ones, there are the plus, minus, and/or preset buttons (or more). You can determine the value and turn them clockwise. The rest is taken care of digitally. How it Lets You Know The Torque Level is Reached? In case of the “Click” torque wrenches, we turn the wrenches and hear a sound as I keep mentioning like a broken record. This means we have reached our goal. In case of the “Beam Type” wrenches, the rod remains straight when we turn the wrench. It contracts when the level of torque is reached. You’ll also hear the “Audible” click when done. This much is the same. Everything else is different. The electric torque wrench models don’t let you turn the wrench further once the desired level is reached. Often, there’s a loud alarm that signifies them getting to the value. Be it an automatic or the conventional type, be it for fixing our bikes or the Cadillac in our garages, torque wrenches are things we use daily. But its really important that, you can fix your bike by using a bike torque wrench only. Now that I know, I can finally use it to its fullest capacity. Trust me, once you know, you can use it more efficiently and do greater things with a simple tool such as this. This article is my earnest endeavor for my readers. I hope I’ve explained the basics in the simplest of terms. Go ahead, try using this tool again. You’ll definitely be better at it!Hope you got the answer of How Does A Torque Wrench Work? Let us know how was the answer.